This past couple of weeks, we have talked about upgrading your movie theatre’s exterior and common area lighting to LED. As the final part of our 3-part series, we will be talking about upgrading a movie theatre’s auditorium lighting to LED. We would all agree that this is probably the most important area of our movie theatre hence the lighting should be perfect. The auditorium’s lighting, if not done correctly can make or break an entire movie watching experience. Auditorium lighting mostly composed of recessed cans on the ceiling, wall sconces, aisle lights and stair nosing. The thing is, these lightings aren’t really turned off completely as the showing starts. Especially the stair nosing and aisle lights as we’d still want to ensure the safety of our cinemas even if sometimes there’s a possibility to compromise the viewer’s watching experience. Fortunately, these lighting fixtures can now also be replaced with LED lights. This might not have been possible a few years back when LED lights didn’t have the capability to be warmed. 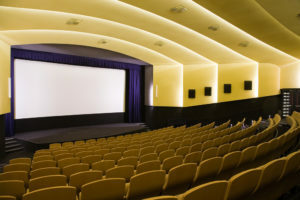 Yes, they can be dimmed but they won’t turn warm (yellowish or orangey colored) which is required for a cinema auditorium. 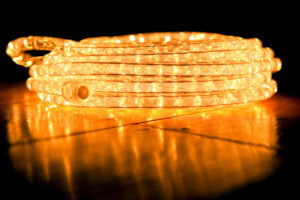 However, this LED technology is mostly only available from top lighting brands/ manufacturer. You will have to be vigilant of low-quality imitations. Now, these brands would definitely cost a lot more as opposed to “generic” LEDs but in the long run, the branded ones will still give you more saving as they definitely have a longer lifespan.